Being a graphic designer and casual (/lapsed?!) artist I like anything that is visual and catches my eye. You know the sort of thing … Bloom’s Taxonomy represented as a map of the London Underground! 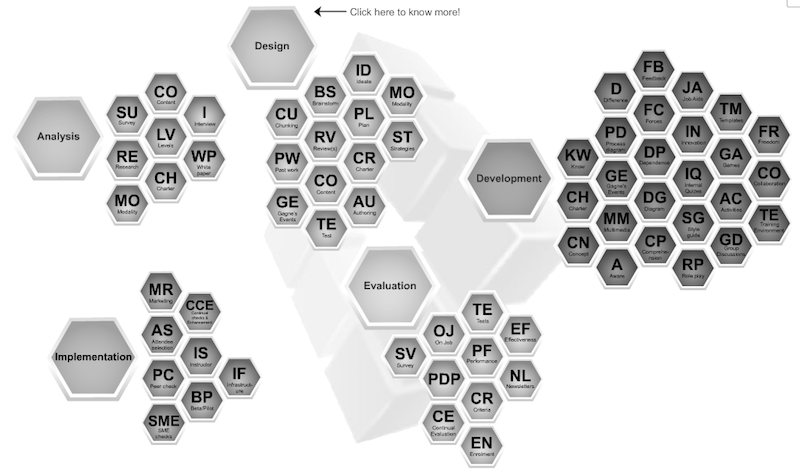 So this Periodic Table of instructional design is pretty neat !